Until the Obama administration, the United States government never heeded the advice of many rational voices over the years who argued for coexistence with Cuba, choosing instead to hear those strident advocates who sought to embargo, isolate, and ultimately overthrow the Cuban Revolution. Republicans have been most explicit in their demands for a rollback, while many liberal Democrats have explored normalization (John Kennedy), turned away from the prospect (Lyndon Johnson), proposed a path to recognition and reversed themselves (Jimmy Carter), or canceled the prospect after a confrontation (Clinton), failing in the end to achieve that goal for five decades. One explanation after another fell away with the passage of time. Since the Soviet Union has dissolved, Cuba cannot be its pawn. Since guerrilla wars have subsided in Latin America, Cuba cannot be accused of fomenting them. Since our government has diplomatic relations and trade with one-party states like China, there is no reason why Cuba should be treated differently. If it’s about compensation for our casinos, oil and sugar companies, and Cuban families expropriated in 1960, Cuba, which has negotiated settlements with other countries, says it is willing to negotiate. 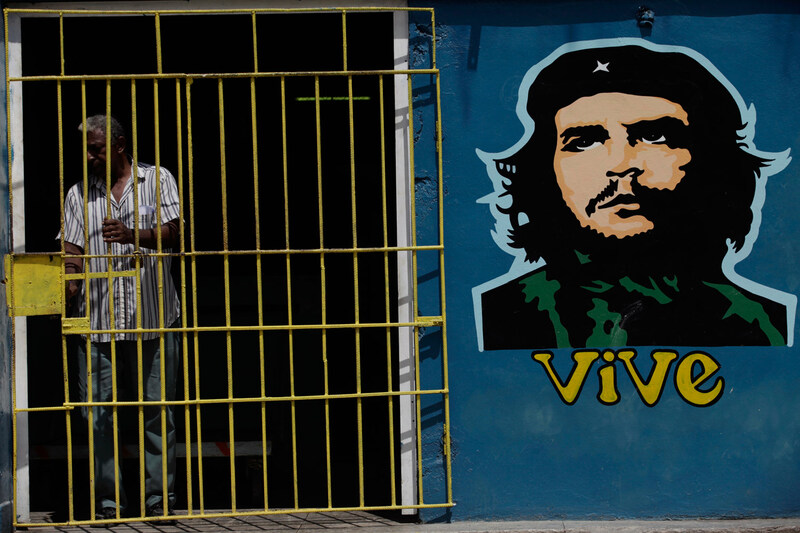 If it’s about political prisoners, Cuba has released many or most of them. If it’s about atheism, the Vatican has good relations with Havana. The search for reasons for the impasse could have gone on endlessly, but thankfully it has ended without a new death. Fidel told two advisers to President Carter, Robert Pastor and Peter Tarnoff, on one of their visits to the island during the Carter presidency: “Your policy is to wait for me to die, and I don’t intend to cooperate.” Indeed, Fidel outlasted the embargo, defying all predictions to the contrary. There is another explanation for how long it has taken, which requires returning to the exhortation in sociologist C. Wright Mills’s 1960 book, Listen, Yankee. The title reflects the complaint that Cubans could not receive a fair hearing as long as US officials assumed superiority in the relationship, with the right to bend Cuba to America’s will—that US leaders’ historic failure to listen to the voices of the original Cuban revolutionaries was at the heart of a tragic misunderstanding. But wasn’t that the basic cry of the Cubans and other small countries from the beginning? When Carter’s national security adviser, Zbigniew Brzezinski, told historians in a 2014 book that “the whole business of Castro seemed to be a piddling affair,” he was reflecting a longstanding superiority complex. The younger Cubans in Florida are Obama voters. He won Florida in 2008 with only 35 percent of the Cuban vote, though taking a majority of young Cuban-Americans, and won again in 2012 with 49 percent of the overall Cuban-American vote. They were far from isolated. In CNN and Gallup polls, a robust 64 percent of Americans opposed economic sanctions against Cuba as early as 2009, Obama’s first year in office. Those majorities prevailed through the December 17 policy changes. After more than fifty years of pressure that would have caused virtually any other one-party state to fall, Cuba still stands. After fifty years of failed “democracy promotion,” another perspective is needed. A forgotten reason for the Cuban government’s lingering resilience is that Cuba actually progressed in many areas over the course of the past fifty years in its overall quality of life and economic achievements, despite the embargo. It is no paradise, but how many countries would have stabilized and improved at all after a revolution, an invasion, constant covert attacks, an economic embargo, and the fall of its most powerful ally? As a November 2012 Congressional Research Service report noted, Cuba’s real GDP growth went from 5.8 percent (2004) to 11.2 percent (2005), 12.1 percent (2006), and 7.3 percent (2007), and then cratered to 1.4 percent in 2009 partly due to the Wall Street economic crisis before crawling back toward 3 percent in 2013. More important, for decades Cuba has ranked among the countries in the High Human Development category defined by the United Nations, for its achievements in healthcare, literacy, and education. At over seventy-nine years, Cuba’s life expectancy is competitive with or slightly above that of the United States. It has one of the highest numbers of doctors per capita of any country in the world. Its classical ballet is known everywhere. Cuba was fifty-ninth out of 186 countries in the UN development index in 2012, higher than nearly every Latin American and Caribbean nation. Though Cuba lies in a deadly hurricane corridor, its disaster preparedness is unmatched. Cuban athletes have collected 196 gold, silver, and bronze medals at the Olympics since the revolution, as opposed to only twelve before 1959. These achievements go far toward explaining why the Cuban system, for all its flaws, retains a core legitimacy in the eyes of most Cubans. The future of Latin America is far from settled. But obviously, if Cuba intends to bond and integrate with Latin America, there is no possibility of its exporting the current single-party model of the Cuban Communist Party. The Cuban Revolution will have to accept the fruits of its long advocacy of an independent region of the Americas, which for now includes a democratic electoral path enabling the advancement of social equality; regulated economies including corporations, cooperatives and worker-run enterprises; and regional integration in defense, diplomacy, and development. That’s not communism, nor does it mean capitulation to Wall Street and the unregulated market. It means a permanent process in which there is room to struggle for an economy and politics under popular control.